For Instapaper Pro developer Marco Arment, the lure of being first out of the gate with his iPad app outweighs the risk of imperfection. 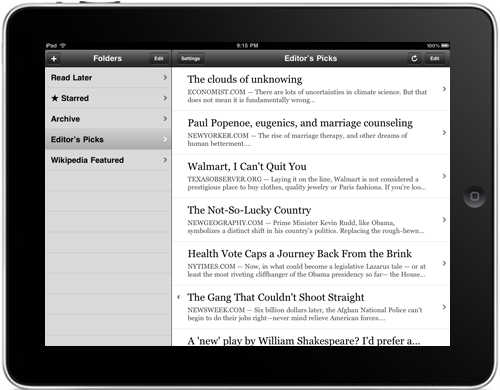 Arment's gone ahead with development of Instapaper for Apple's iPad, an app that presents newspaper and magazine articles in simple black-on-white text and lets you flag interesting stories for later reading. But he's doing it without seeing how his creation works on an actual iPad, which doesn't launch until April 3. Developers can use an emulator to see how their apps work, but Arment wrote on his blog that developers don't yet know some important details about the iPad, such as how much RAM it has or how quickly it can execute animations. Still, Arment would rather develop now than leave iPad owners to use Instapaper's iPhone version, which can either run in iPhone size at the center of the screen or in pixel-doubled mode, occupying the full screen in the iPhone's 480-by-320 resolution. "Even if the first version ships with a few edge-case bugs, I'd rather have that on my iPad for a couple of weeks than no Instapaper at all," Arment wrote, "and many customers have told me that they feel the same way." Some developers do get to test their work on the iPad, but according to BusinessWeek, they must lock the iPad to a fixed object and use it only in a room with blacked-out windows. Some developers were turned away regardless. Arment is obviously among the group that doesn't have an actual iPad to try. Bugs aside, creating iPad apps in the dark makes it tough for developers to know how the device will feel in the hands and look to the eyes. 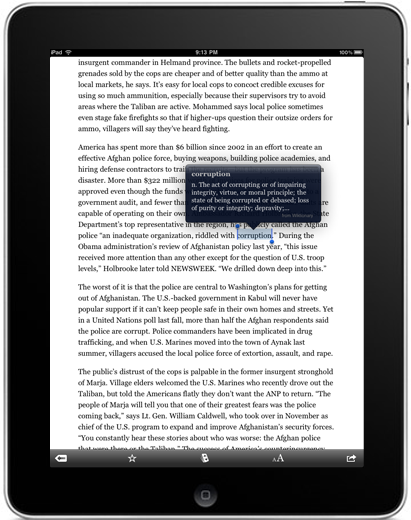 Arment notes that he may move Instapaper's reading toolbar to the top of the screen, and could introduce more radical changes after the iPad launches. So if you're an early adopter, don't expect every iPad app to run flawlessly on day one, and be prepared to watch your favorite apps morph as everyone gets used to the new device.